Not much research has been done on slavery in Texas. John Hope Franklin and Loren Schweninger’s Runaway Slaves: Rebels on the Plantation, one of the most comprehensive projects on runaway slaves in the South, does not even include Texas in the data or analysis, but rather implies that slavery seems to be relatively universal throughout the South. Randolph B. Campbell opened the discussion of slavery in Texas through his book An Empire for Slavery: The Peculiar Institution in Texas, 1821-1865, but agreed with Franklin and Schweninger on the similarities across the country. William Dean Carrigan, however, took another position in the chapter on Texas in his book Slavery and Abolition: he argued that slavery in Texas (specifically in central Texas) was unique from that in other Southern states. However, the lack of information on the topic indicates the need for additional research in order to reach a more definitive conclusion. Why would Texas be different from other states? Since Texas was the frontier of plantation agriculture, many diverse groups interacted with the slaveholders and their slaves. Mexicans (to the south) and Indians (to the north and west) increased owner fears and possibly runaway occurrences as well. The proximity of Mexico and the absence of a fugitive slave law there made it a more desirable runaway location than the North, which was still impacted by fugitive slave laws. The presence of Indian tribes just on the outskirts of the plantation culture provided another possible refuge for runaways. Although not all Indians were friendly to runaway slaves and although the proximity of Mexico did not necessarily result in increased runaway occurrences, both of these factors could have contributed to the culture of slavery in Texas. In addition the lower population density and wooded terrain of central Texas were possible advantages for runaways. These factors not only framed the diversity of options available to runaways but also impacted slaveholders’ perceptions of their slaves. How did slaveholders react to the many runaway possibilities? Did they treat or perceive their slaves differently? Or were Texas slaveholders essentially the same as slaveholders in any other state? Runaway slave advertisements allow a glimpse into these perspectives through the language they use to describe the slaves. Through the utilization of various digital tools and comparison of the Texas advertisements (from the Houston Telegraph) with those of other states, we hope to contribute an additional facet to the debate on slavery in Texas. Clare, this all looks great! 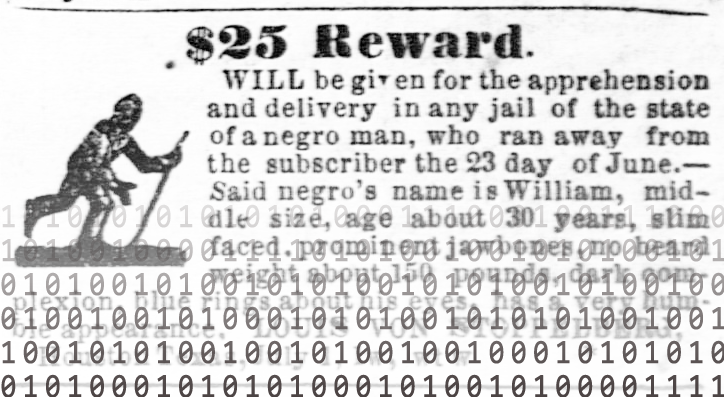 One suggestion on something you might want to add: maybe a brief description on the purpose and significance of runaway slave advertisements in 19th century newspapers, since this may not be something all readers of our project will be familiar with. Overall, good summary of our key research and questions about runaway slave ads in Texas. This is a great start! You’ve included why more research on Texas is necessary as well as the reasons why any investigation might yield results different from those focusing on other slave states. Framing your section as follows, “Runaway slaves are important, here’s why, and here’s what we hope to contribute” is an excellent way to establish the significance of a project/question. Maybe the next step in the introduction is the “how” we hope to contribute? Some discussion of what methodologies are missing, haven’t been utilized, etc., may be where we go from here. Great job overall! This looks great! I was going to suggest what Maria suggested above. I also think that this new section will be a work in progress as we narrow down what exactly we plan on doing and how our project will contribute to the bigger discussion about runaway slave ads, slavery in Texas, and about digital history methods.